QUESTION: I’ve recently encountered a missive of defense regarding HH Pius XII’s Holy Week changes in 1955 and, as I know you argue against them, I thought I’d forward it on to you in case you wanted to address the points at any time. I personally am undecided on the matter, though given the anecdotes regarding the physical and mental condition of the Holy Father following his illness in 1954, I consider there to be at least significant doubt as to their validity, or the degree to which his hand was actually involved at all. ANSWER: Thanks for the article: I treat the problems with the new Holy Week as a precedent for the Novus Ordo in Work of Human Hands, pp. 54–6, 58–61, 68–69, and the role of Pius XII on pp. 69–9. The article “Regarding the Restored Order of Holy Week” has also recently appeared on the Internet. The author is an anonymous layman who bases his case against using the pre-1955 Holy Week rites exclusively on legal arguments: the infallibility of the Roman Pontiff, the binding force of Roman decrees, the authority of the Roman Pontiff in matters liturgical, the authority of the Congregation of Rites, and the authority of the decree promulgating the new Holy Week. One cannot take exception to any of the principles he quotes from papal pronouncements and general legislation; indeed, what I have written on the question assumes it. (2) Cessation, i.e., a human ecclesiastical law that was obligatory when promulgated can become harmful (nociva) through a change of circumstances after the passage of time; when this happens, such a law ceases to bind. 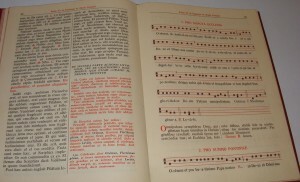 These general principles may be applied to decrees promulgating liturgical laws, including the new Holy Week, because (1) the legislation was transitional in nature, in intent and in fact; and (2) the many parallels in principles and practices between the Missal of Paul VI and the 1955 reforms now render continued use of the latter harmful, because such a use promotes (at least implicitly) the dangerous error that Paul VI’s “reform” was merely one more step in the organic development of the Catholic liturgy. Apart from the legal question, the attempt of the author of “Regarding the Restored Order of Holy Week” to apply Pius XII’s condemnation of “liturgical antiquarianism” to those who use the old Holy Week is particularly fatuous. 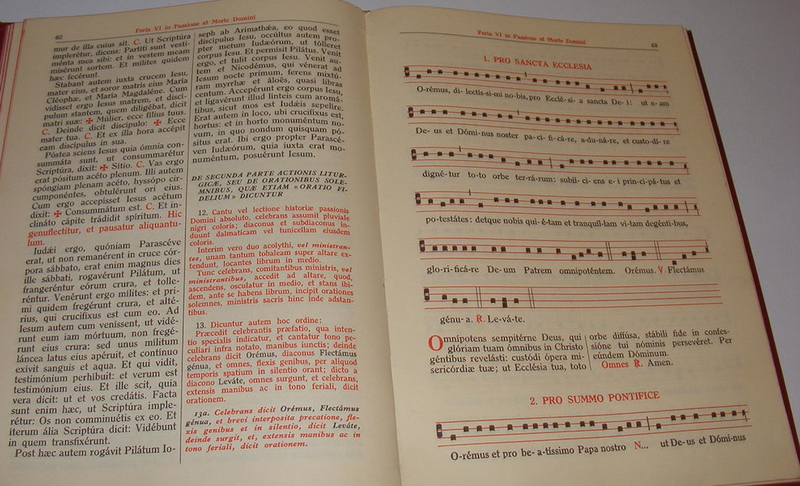 Mediator Dei was written in part to respond to Archbishop Groeber’s 1942 memorandum on the errors of the liturgical movement, among which he listed “placing undue emphasis on forms of religious life in the primitive Church.” This referred to modernists in the movement who wanted to strip from the liturgy anything “medieval,” and these proposals are what Pius XII was actually condemning. I also note in passing that the author of the article is a layman. As such, it is unlikely that he has an intimate practical knowledge of the texts and rubrics of the old Holy Week, the 1955 Holy Week or the Paul VI Holy Week that a priest could have. Hence, he will be more or less oblivious to the differences or similarities between the rites (if indeed he notices them at all!) and will not really understand why a traditional Catholic priest could be completely repelled at the thought of performing rites created by Bugnini as one step in destroying the Mass. Have a blessed Holy Week — pre-’55, of course! This was written by Rev. Anthony Cekada. Posted on Saturday, March 31, 2012, at 11:40 am. 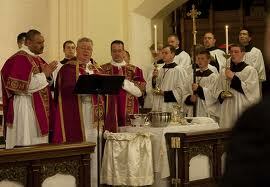 Filed under Liturgy Holy Week. Bookmark the permalink. Follow comments here with the RSS feed. Comments are closed, but you can leave a trackback. ‹ Fr. Martin Stepanich OFM, STD: Seventy Years a Priest!